Infrared images from instruments at Kitt Peak National Observatory and the Spitzer Space Telescope show us the beginnings of a new star. 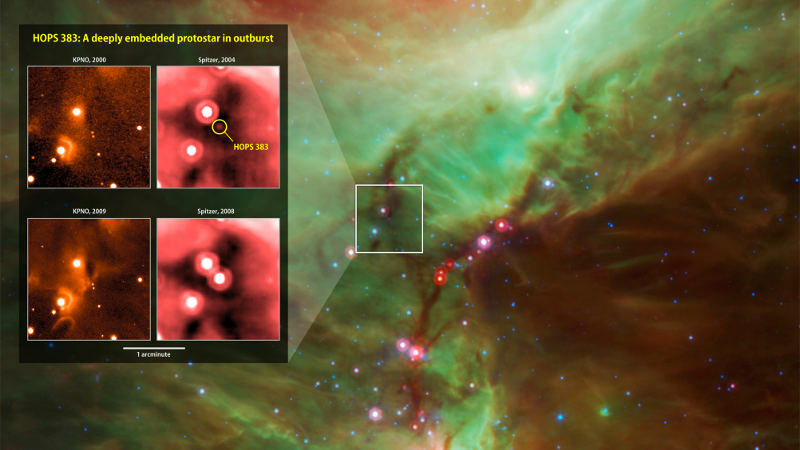 HOPS 383 is young protostar in the Orion star-formation complex. The circle of life and death is truly universal and as previously we have shown the birth of a star, thanks to the Hubble Space Telescope we can now look at the impending death of a star. 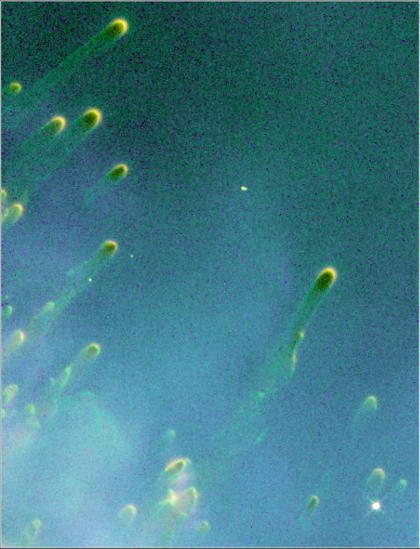 The large tadpole-shaped objects are called “cometary knots” due to their resemblance to comets (glowing heads and gossamer tails). 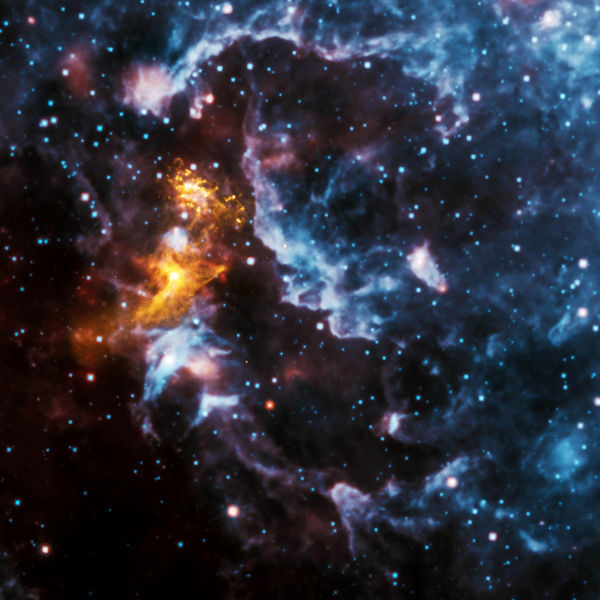 They are believed by scientists to be the last gasp of a dying star. The scale/size involved in these cometary knots is quite astounding, with the gaseous head believed to be twice the size of our solar system alone and each comet like tail stretching for up to 100 billion miles (1,000 times the distance between Earth and the Sun). Alpha Centauri is the closest star to Earth (after the Sun), with its light taking just over 4 years to reach us (4.37 light years from the Sun). 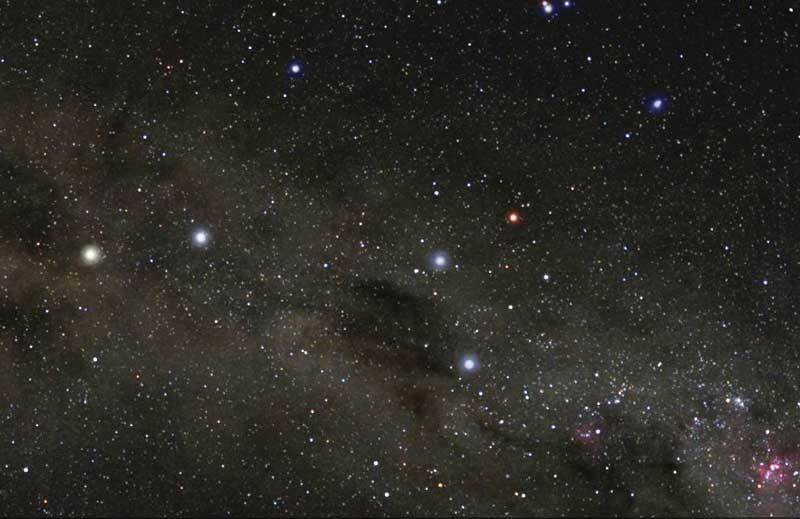 Alpha Centauri is the third brightest star in our night sky and can be found in the Centaurus constellation. Alpha Centauri is a binary star system composed of two stars – Alpha Centauri A and Alpha Centauri B. A third star, Alpha Centauri C or Proxima Centauri is a much fainter red dwarf star also in the mix.